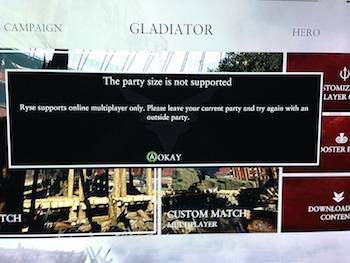 Microsoft is aware that the Xbox One party system doesn't work like it should. "I had a meeting today about much of this and I can say that things will get better," Hryb wrote. "I can't offer a timeline of a list of what till be addressed first, but we are aware of the issue and things will get better." Reddit user Numb3rs4 describes the current functionality party system as "backwards." Some Xbox One players report that they can connect to Xbox Live, but can't connect with others in a party. The issue can go so far as to prevent those players from hosting or even joining multiplayer games. If you are having problems with your Xbox One, you should report them (and look for a fix) on the Xbox One support forums.